On Tuesday evening, the University of Texas System Board of Regents unanimously named Admiral William H. McRaven the sole finalist to be the next chancellor of the system. On a conference call Tuesday evening, the University of Texas System Board of Regents unanimously named Admiral William H. McRaven the sole finalist to be the next chancellor of the system. McRaven, a Navy Seal and current commander of U.S. Special Operations Command, is perhaps best known for designing and coordinating the successful operation to kill Osama bin Laden. McRaven will take over for outgoing Chancellor Francisco Cigarroa, who plans to head the pediatric transplant surgery unit at the University of Texas Health Science Center in San Antonio. But the transition won’t be immediate. 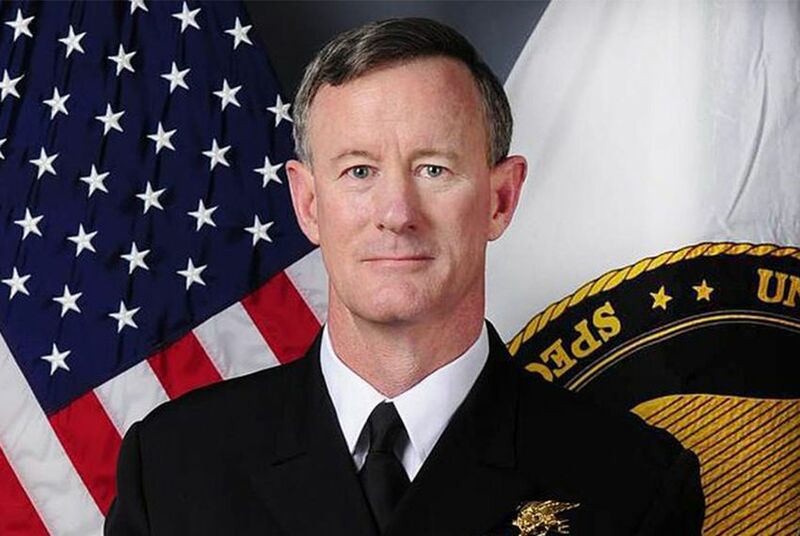 McRaven will hand over the reins of USSOCOM, which he has led since 2011, on Aug. 28, but Foster said he is not expected to take over at the UT System until the beginning of 2015. Foster said the admiral’s compensation package has yet to be determined and will not be made public until he is officially named to the position, which will not happen until at least the next board meeting in August following a state-mandated 21-day waiting period. "I would be honored to have the opportunity to serve The University of Texas System and the people of Texas," McRaven, a UT-Austin alumnus, said in a statement. "My wife Georgeann and I are excited about returning home to our family and friends. I thank the regents for their trust and confidence in my leadership, and I look forward to this extraordinary responsibility with enthusiasm and gratitude." Richard Fisher, president and CEO of the Federal Reserve Bank of Dallas, has also been under consideration for the chancellor post. According to one regent, former Proctor & Gamble CEO Bob McDonald, who was recently tapped to be the U.S. Secretary of Veterans Affairs, was also considered. Early on in the process, Gov. Rick Perry had reportedly pushed for Texas Health and Human Services Executive Commissioner Kyle Janek to get the job. "The governor is pleased with the board of regents' selection of Admiral McRaven, whose outstanding character and sterling record of leadership will be a great asset to the UT system," Perry spokeswoman Lucy Nashed said on Tuesday. The regents involved in the search process also spoke highly of their final choice for the system's next chancellor. “I think this is one more mark in the side of the ledger that says we’re doing the right things for the students in Texas,” said Gene Powell, one of the board’s vice chairmen. McRaven will take over during a tumultuous period. The system's leadership, the regents and administrators at the University of Texas at Austin — the system’s flagship institution — have been mired in public controversy and tension for much of the last three years. On Tuesday, Hicks said he and others had worried that the highly publicized conflict might make it difficult to attract candidates for the position. But he said he was pleasantly surprised by the caliber of candidates provided by Wheless Partners, the national search firm selected to assist the board. After growing up in San Antonio, McRaven graduated from the University of Texas at Austin in 1977. He has since returned multiple times, including a time he was honored as distinguished alumnus in 2012 and when he delivered a commencement address this year. His well-received speech has since been viewed on YouTube more than 2 million times. Both of the admiral’s older sisters live in the Austin area. Nan McRaven, a consultant and member of the Austin Community College Board of Trustees, told the Tribune that she was not surprised that her brother, who helped establish and was the first graduate of the Naval Postgraduate School’s Special Operations/Low Intensity conflict curriculum, would be returning to Texas in an academic capacity. “This is not actually a new concept for him,” she said. “He has talked for years about eventually connecting with a university. He likes the idea of teaching and learning. Our family overall has a real passion for education. As chancellor of the UT System, McRaven will be serving as the chief executive officer of an entity that currently includes nine universities and six separate health institutions. Two of those universities are in the process of merging, and two new medical schools are being built. “The simple job description is that the chancellor needs to be Superman or Wonder Woman,” Dan Burck, who served as the system’s chancellor from 2000 to 2002, said. Aims McGuinness, a senior associate at the National Center for Higher Education Management Systems, said it can be difficult to find university system leaders who understand the distinction. “The challenge is getting a good leader that really understands the diversity of missions with their system and really understands that their role is not to run the institutions but to support presidents who are running those institutions,” he said. Powell described the admiral as the type of “servant leader” who would provide that support to the institutional leaders. “He’s going to have to go to them and say, ‘What can I do to help you do your job?’” he said. In some ways, McRaven is a unique choice to lead a university system in Texas. Four of the state’s major system leaders are former state legislators. Currently, Cigarroa and University of Houston System Chancellor Renu Khator are the only system leaders with backgrounds in academic administration. McRaven is neither a former state lawmaker nor an academic. McRaven, who was a runner-up for Time’s “Person of the Year” in 2011, was on the regents’ radar before his well-received commencement address. But it did not become clear until later in the process that hiring him was a real possibility. “I was certainly pleased that he had the level of interest that he did,” Foster said. “The fact is that he has a lot of opportunities. For him to be as passionate as he is about higher ed and to be willing to take this on at this time in his career, to me, was extraordinary. Early reactions from the UT-Austin community were positive. The Texas Coalition for Excellence in Higher Education, a group of university supporters that formed in 2011 and has been critical of some UT System board activities in recent years, issued a statement saying, "We look forward with optimism that McRaven will usher in a new era marked by good governance, an emphasis on excellence in research and teaching, and a cooperative environment that allows the component institutions to do what they do best: educate Texans for the future." "The contributions of the UT System institutions are a reason for so much Texas pride," state Sen. Kirk Watson, D-Austin, said in a statement. "I look forward to working with Admiral McRaven to continue their long tradition of academic accomplishment, first-class research, educational excellence, and success." House Speaker Joe Straus, R-San Antonio, also issued a statement. "Admiral McRaven is a distinguished, inspiring leader whose arrival will mark a new chapter with new opportunities for the UT System," he said. "The Texas House hopes to work with him and the UT Board to put a renewed focus on serving students and meeting the needs of this state." Disclosure: The University of Texas at Austin is a corporate sponsor of The Texas Tribune. Paul Foster and Steven Hicks are major donors to the Tribune. A complete list of Texas Tribune donors and sponsors can be viewed here.